PUBG Mobile was exclusive to Android Smartphones and Iphones/Ipads. But it is little difficult to play and win in smartphones since it is a FPS game and playing a game on Small devices like smartphone will make more stress to your eyes. So Emulators came. Emulators are used to play the mobile game in your computer or laptop. Then Tencent realized the PUBG Mobile market in emulator world too making official Emulator for PUBG Mobile.It runs an Android Operating system in your windows PC and Install the PUBG Mobile game in it. Since it uses more resources the game is not smooth in case of low end to mid end PCs or Laptops. Then comes Phoenix OS. It is a standalone Android OS based on Androidx86 project. You can install Phoenix OS as a separate OS along with your Windows OS and you can install and Play PUBG Mobile using your Integrated graphics card. But Phoenix OS is a Made in China product. I don't know which tricks they are using in their OS. But it bypass the Windows Fast Startup. If you shutdown your Windows 10 OS and boot into Phoenix OS it repairs Windows files to access your hard disk. In case of other OS like Ubuntu you have to restart your PC or un check "Turn on fast startup" from power options. Some times PUBG Mobile is unable to play in Phoenix OS. You may experience too much lag than in Tencent's Official Emulator. Then comes Prime OS. We have compared Prime OS and Phoenix OS previously. But at that time re usable keys and Emulator Detected option were not available in Prime OS. So we recommended to install Phoenix OS over Prime OS. But now it is not the case. Prime OS Improved a lot. Even though it is in beta stage you can play PUBG Mobile game without any lag in your low end PC's. 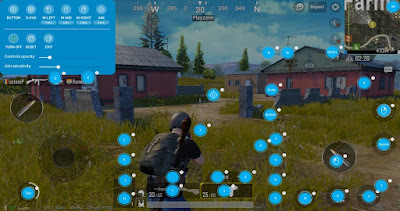 Re usable keys are now available in Prime OS and you will not get banned since PUBG Mobile detect Prime OS as Emulator. Better key mapping than Phoenix OS. You cannot record game play sounds using any recording software ( This is because of Android Issue. But the developers have the option to turn on in game sound recording as done by Samsung and Xiaomi.